Saddam Hussein’s psychology can be described in terms of the syndrome of malignant narcissism. The core components of this syndrome are pathological narcissism, antisocial features, paranoid traits, and unconstrained aggression. Saddam exhibits extreme grandiosity, overconfidence, and self-absorption to a degree that renders him incapable of empathizing with the pain and suffering of others. He is devoid of empathy and unmoved by human suffering, which permits him to commit atrocities against his own people as readily as he is willing to brutalize his enemies. The tenuous social conscience of malignant narcissists is governed primarily by self-interest. 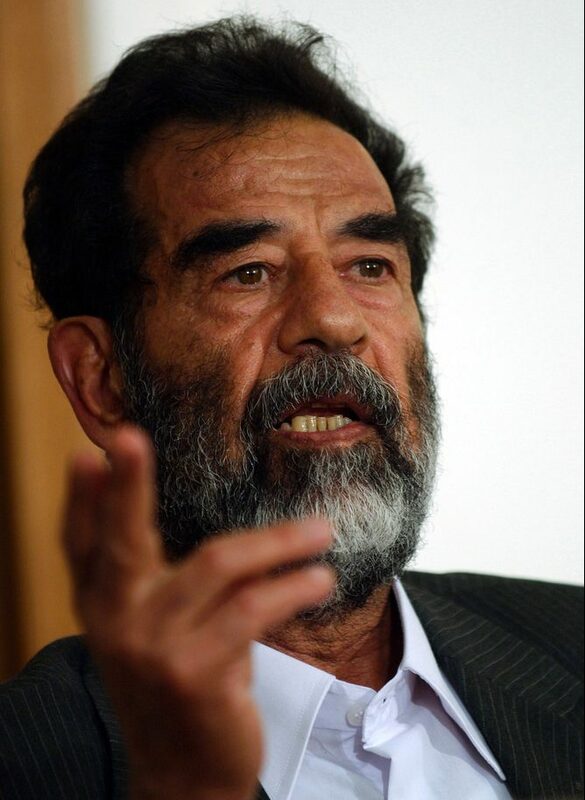 Malignantly narcissistic leaders like Saddam Hussein are driven by power motives and self-aggrandizement; however, their amorality permits them to exploit the principled beliefs and deeply held convictions of others (e.g., religious values or nationalistic fervor) to consolidate their own power. They are undeterred by the threat of punishment, which makes them singularly resistant to economic inducement, sanctions, or any other pressures short of force. Behind a grandiose facade, malignant narcissists harbor a siege mentality. They are insular, project their own hostilities onto others, and fail to recognize their own role in creating foes. These real or imagined enemies, in turn, are used to justify their own aggression against others. Malignant narcissists are cold, ruthless, sadistic, and cynically calculating, yet skilled at concealing their aggressive intent behind a public mask of civility or idealistic concern. Because self-aggrandizement is the guiding force that drives Saddam, the only plausible scenario under which he would voluntarily relinquish political power would be the conviction that it would give him a “second lease on life” and permit him to survive the current crisis, ultimately to return to power. His personality profile suggests that Saddam Hussein will use all means at his disposal to cling to power. If backed into a corner, there is an elevated risk that he will take his own life rather than surrender. Next story The Political Personalities of 1996 U.S. Presidential Candidates Bill Clinton and Bob Dole.